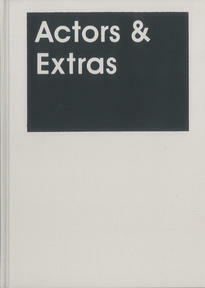 The publication Actors & Extras appears following the exhibition of the same name at Argos. Five authors highlight the theme of characterization from various angles. typology of the extra and subsequently gives attention to the aberrant status of the extra in modern cinema and contemporary art. Thomas Trummer’s Volonté Générale. Extras in Film and Democracy questions the responsibility of the anonymous individual. concept of acting in a documentary has a different interpretation than in a fiction film. The last part of the publication describes the selected works in the exhibition. What’s Web 2.0 to the Cultural Sector?